Where can I obtain a tournament entry form for a PA or USGA event? What is the proper way to withdraw from a PA event? What type of Junior events does PA offer? Where can I find results from the recent PA events? Who can be members of the Pennsylvania Golf Association? How can I become a member of the Pennsylvania Golf Association? What if my home club is not a member of the PAGA? How much is it for my club to join the Pennsylvania Golf Association? 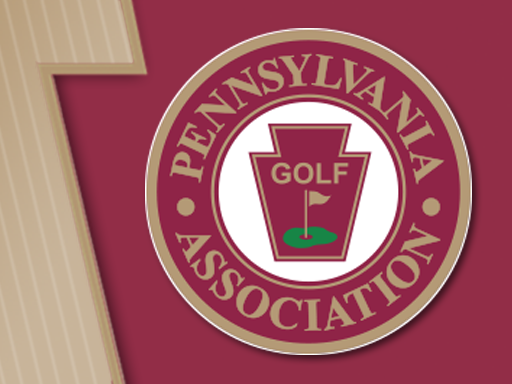 Pennsylvania entry forms may be completed after a successful log in and visiting the Pennsylvania Golf Association’s "Championships" tab on this site. USGA entry forms may be obtained directly from www.usga.org. When a player must withdraw from an event, he should notify the PA Office as soon as possible. If the withdrawal occurs after business hours, or the day before the event, please contact Cory Reighard at 814-329-3800. Otherwise, contact the host club’s pro shop. Entry fees are not refunded after closing day of the event. The Junior Championship is for boys from PAGA member clubs and girls from PSWGA member clubs who have not reached their 19th birthday by midnight of the final round and who have a USGA Handicap Index of 18.4 or lower for ages 14-17; 24.6 or lower for ages 12-13; and no handicap restriction for ages 11-and-under. The format is 36 holes of of stroke play. Running concurrently with the Junior Boys’ Championship is the Junior Girls’ and Junior Team Championship. A team consist of four eligible Junior boys from the same Member Club, or three Junior girls from the same Member Club. Under the "Headlines" and "Championship Schedule" tab of this site. Usually, the results of PA events are published in local sports sections. You can join the Pennsylvania Golf Association by establishing a USGA Handicap Index at a PAGA Member Club. Visit the golf professional at a course near your work or home that is a member of the Pennsylvania Golf Association. To see a list of current PAGA member clubs Click Here. It is necessary to establish a "home" course so that your handicap revisions can be sent to that facility for you. You can still play and post your scores wherever you want, but your handicap records will be maintained at your "home" club. Your golf professional can help you establish a handicap and start posting your scores. Starting in 2007 memberships were made available for those individuals who wish to compete in Pennsylvania’s State Championships and are residents of the Commonwealth of Pennsylvania. By joining the Pennsylvania Golf Association as an individual, you will receive access to our 12 championships and many tangible items, but most importantly you will be supporting golf in the Commonwealth of Pennsylvania.